When snowfall finally hits London, Ontario and the 401 truck routes it can take you by surprise. 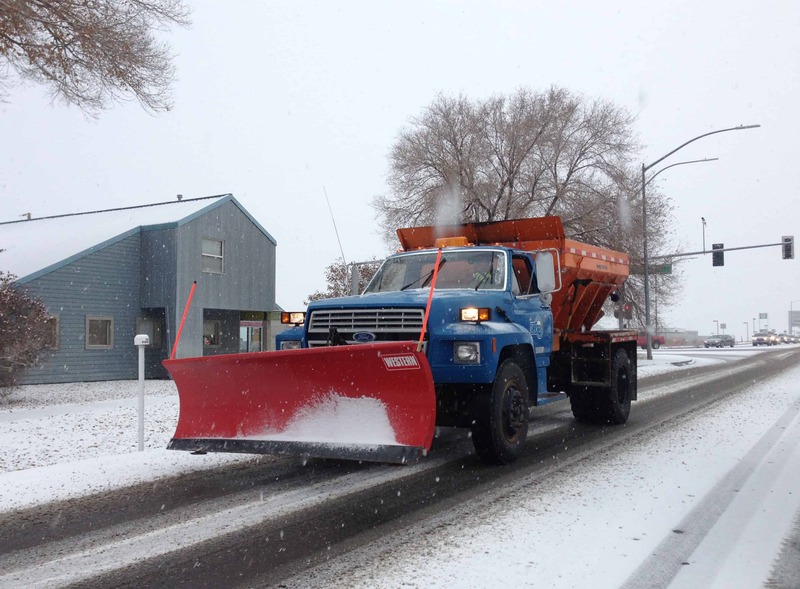 Don’t get caught with a grounded snow plow and winter service vehicle fleet when it matters most. It’s never too early to start your service checks or outfit your snow plows for the upcoming winter season. 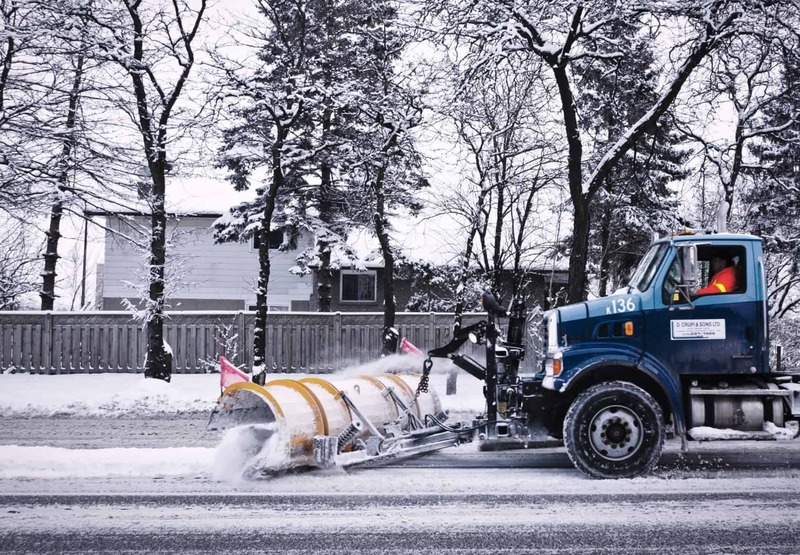 Remember, the condition of your fleet from regular parts such as brakes, engine, and transmission to specialty parts like the plow blade and cover plate is crucial to the success of your winter season. At Patrick’s Mobile, we know winter service vehicles and plows take heavy snows head-on and can help you work quickly and efficiently to make your parts and service our priority. We Service New and Old Plows! 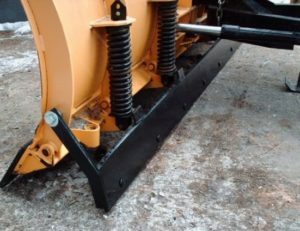 The cutting edge and cover plate are the most crucial components of your snow plow rig and also something that needs regular inspection and maintenance. 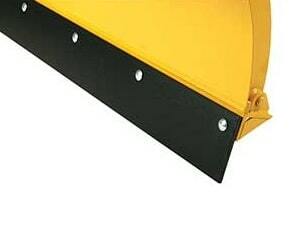 The cover plate protects the main plow that is doing the cutting or breaking of compact snow, ice, and debris and is also designed to skip over street fixtures such as manholes, covers, and potholes. How do we handle blade and plow connections? Older model plow connections include a chain hoist which should be free of rust or other signs of wear. Preventative maintenance is key. 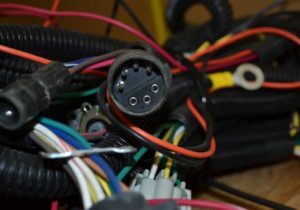 Newer trucks use bolted connections for the mold angle which are also susceptible to wear and need regular inspection. That said, these bolts are quick and easy to replace especially on the go which reduces downtime. We’ve seen every type of plow connection hitch from Pin Types, Quick Hitch or Pin and Loop Style. The carbide or rubber blade cutting edge can wear rapidly depending on job volume and the environment. This tip starts at a one-inch dimension and can become brittle exposing. Our mobile diesel mechanics make sure to check this crucial part regularly, making recommendations and changing out your snow plow blade if necessary. Finally, we make sure your mold is undamaged holds a secure connection and can maintain its plow angle. Your blade angle should be ideally set to a 22 to 23-degree angle depending on truck weight. Newer model trucks require a higher blade angle sometimes approaching 90 degrees as the materials in the blade and the vehicle chassis are lighter overall. An offset blade combined with regular wear can seriously damage your truck leading to at least a full day downtime. Most cities and private companies have been slowly advancing to newer dump truck and snow plow bodies even though the builds are technically the same. The biggest difference between older plow setups and newer deployments is the make of the dump truck and the structure of the blade. 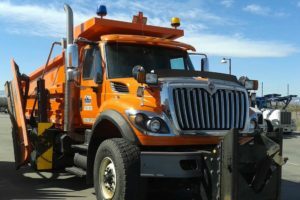 In combination, newer snow plows take advantage of lightweight chassis, engine as well as snow plow blades to reduce parts weight and stress on the engine. Older trucks are certainly built to last but when they go down the problems may involve broken legacy parts which can lead to increased downtime. That’s why we specialize in all dump truck and winter service vehicles. Whether new or old, standard dump bodies involve hydraulic pistons mounted between the truck body and the cab and more recently in the front hitch. They’re also fitted with a single front axle and at least one in the rear. The usual arrangement we encounter on dump trucks includes a six-wheeler or ten-wheeler setup and we’re licensed to service all of these styles. Most municipal or commercial snow removal companies deploy a multipurpose or flex body dump truck with their choice of hitch and snow plow. And we’ve seen it all! From older models like DT Diesel Trucks, huge Mack RD models, or the Ford F Series as well as newer styles like the Kentworth T or Volvo A Series dump trucks we can handle all your service needs. When we service your snow plows our goal is to get you up and running but we don’t leave it at that. At Patrick’s Mobile, we strongly advocate preventative maintenance for your snow plow fleet and conducting regular pre-trip inspections to stay on top of all the possible issues with your hard-working diesel machines. Our mechanics make sure that we have confidence in your hitch hydraulics and prioritize checking the bolts and connections from the truck to the plow. They check the hoses for leaks or overt signs of wear and damage and do the same for pins and chains that secure the plow. This inspection is basically the same whether you use a newer hydraulic system or chain and weld connection to your plow. We even go above and beyond to ensure that exposed areas of the hitch mechanics and pins aren’t overly exposed to salt and debris that will damage your truck over the course of your season. Finally, we ensure your winter service vehicle is stable and structurally sound to take on the weights and pressures of clearing a heavy snowfall. Our snow plow mechanics expertly inspect and service everything from your rear suspension systems, testing and maintaining tire pressure as well as worn or faulty lifting systems and cylinders. Take advantage of our expert mobile mechanic services in all seasons. Our snow plow machinists can be quickly dispatched to your location in all weather conditions and quickly diagnose at the scene. Don’t let heavy snowfall keep your trucks off the road! on Straight Trucks and Cargo Vans! Don’t let snow and debris buildup present a danger to yourself and other commuters. Ice buildup on your vehicle can cause unsafe driving conditions. It can also endager other drivers. Book Your Snow Plow Truck Repair Now!